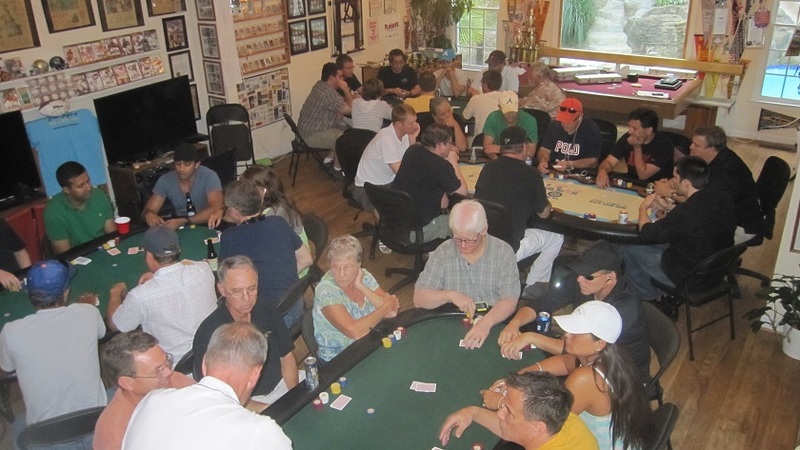 Poker Night at Mac's Game Room is held every three to four weeks. This includes a tournament and a mixed side game. Every poker night, a different charity is selected and players are required to make a contribution to participate in the tournament. Hundreds & hundreds of players have taken their shot at a tournament championship over the years. Two to three major tournaments are (sometimes?) held each year. The Cup Championships offer a double starting stack tournament with a prestigious Cup trophy awarded to the winner. Bhargav Vempaty won his first career title in the tournament held Fri Mar 29th. Bhargav beat a field of 17 entries while Will Rowlett, Tonya Smith, and Dave McPherson finished 2nd thru 4th. $193 was raised for North Fulton Community Charities (nfcchelp.org).